Looking for a move in ready Brick Rancher in the heart of Chester? Well, here it is! This wonderful 1792 sq. ft., 3 bedroom, 2 full bath home offers hardwood floors throughout most of the home, NEW Roof, NEW windows and doors, NEW oven/microwave, NEW outflow plumbing, Newer HVAC & ducts and hot water heater, composite deck & vinyl railings, NEW carpet in the family room. You will enjoy the Florida Room and composite deck with vinyl railings. 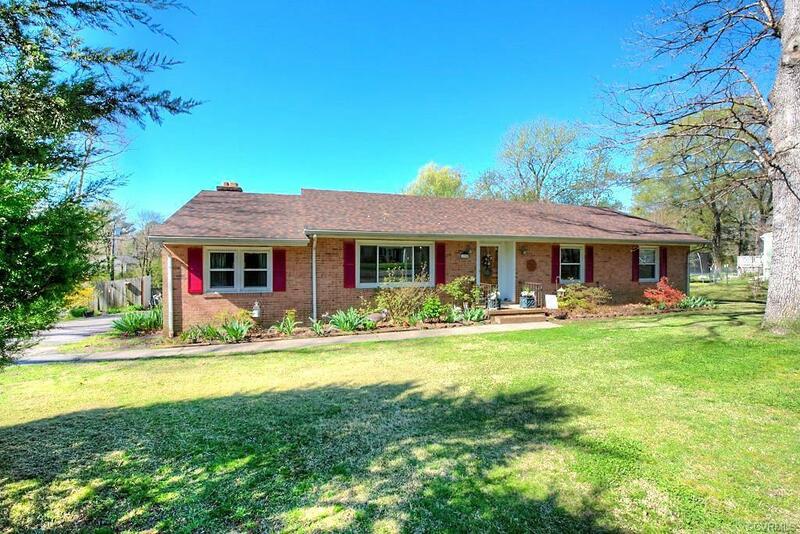 All of this situated on almost a half acre, corner lot PLUS an in-ground pool! There is also an attached shed, and a detached shed - with power! Don't miss out on this opportunity - have your agent schedule your showing today! Directions: Harrowgate Road, To Curtis Street, To Winfree Street. Home Is On The Cornet.